In the Garden by Green Start – It was both a joy and a bit of a challenge to read to two toddlers. They both wanted to hold the book while I read it (unfortunately I didn’t have two copies!). This book is beautifully illustrated and has great text features such as image labels. 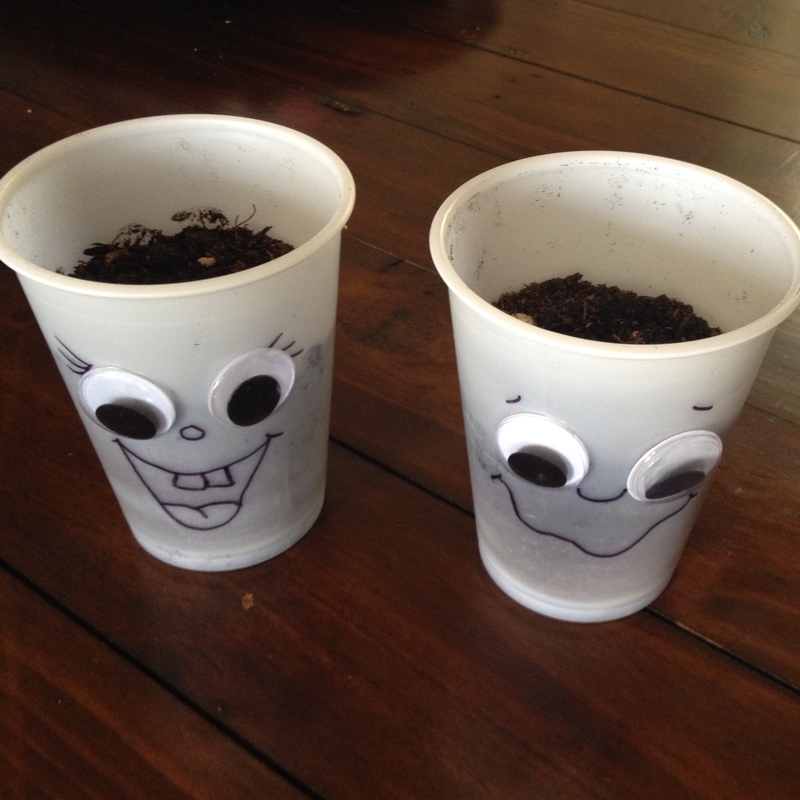 I helped both kids take turns pouring soil into their plastic cups that I had decorated for them. I then got them to first hold the grass seeds in their hands and then dump them into their cups. I have a small spray bottle for R to use to water her grass head everyday. 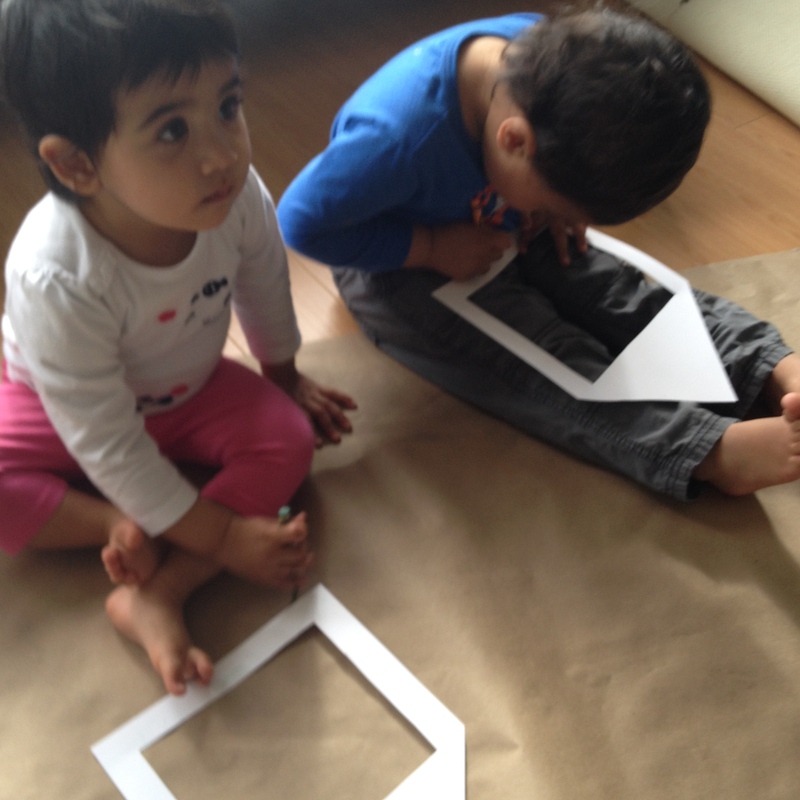 Squeezing the spray bottle will be a great way to develop R’s motor skills. b. Discuss all the things a plant needs to survive, and together, find the best home for the wheatgrass head to ensure survival. 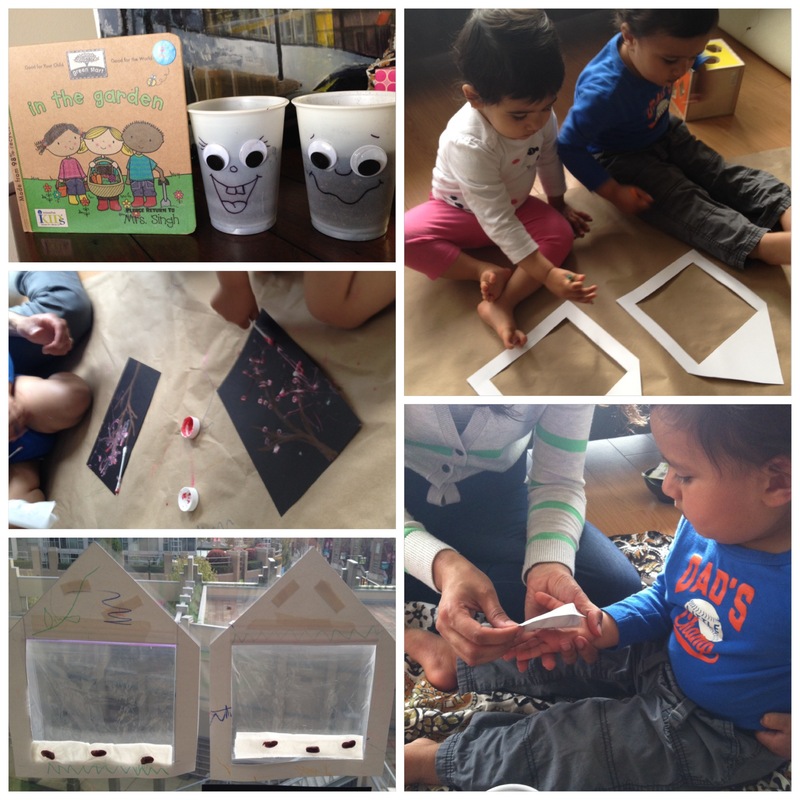 R and K decorated their bean plant houses before we taped their bean plant bags to them. We kept it simple by having them decorate with crayons, but you can use just about anything you can think of to put together some beautiful homes for your bean plants. When I’ve done this activity with my Kindergarten Students, we’ve used paint, oil pastels, markers, and fabric. For the planting portion, we placed a folded tissue into a zip-lock bag, three kidney beans and a very small amount of water to keep the tissue damp. The mouth of the zip-lock bag is left open to ensure adequate air flow. The bean plants, together with their homes, are hung on a window to ensure the bean seeds get plenty of sunlight. a. When the plant starts to sprout leaves, transfer it into a pot with soil or plant in your outdoor garden. b. Have the child illustrate the stages in development of the bean plant after careful observations. On black construction paper, I drew branches with a brown oil pastel. 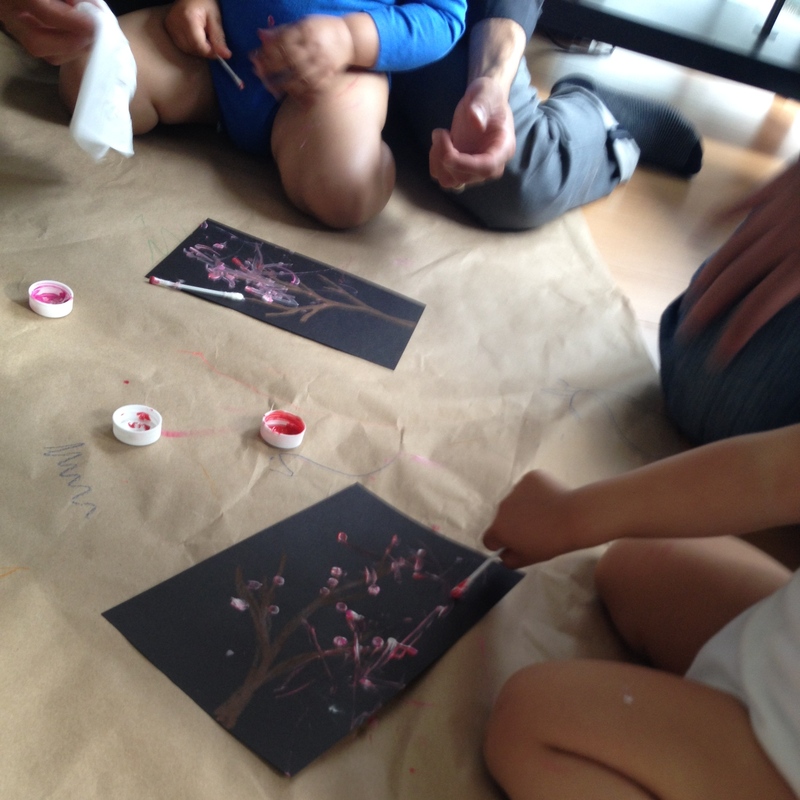 The toddlers painted on blossoms with cotton buds (q-tips). I handed each toddler a cotton bud dipped in pink, white and red paint and the dads helped them make dots on the page. Both kids preferred to make strokes and both kids wanted to dip their cotton buds in paint themselves, so that’s what they did!